Kitchen uniforms are a necessity in the restaurant setting, but not just any standard uniform will match the quality you get when you work with Dust-Tex. 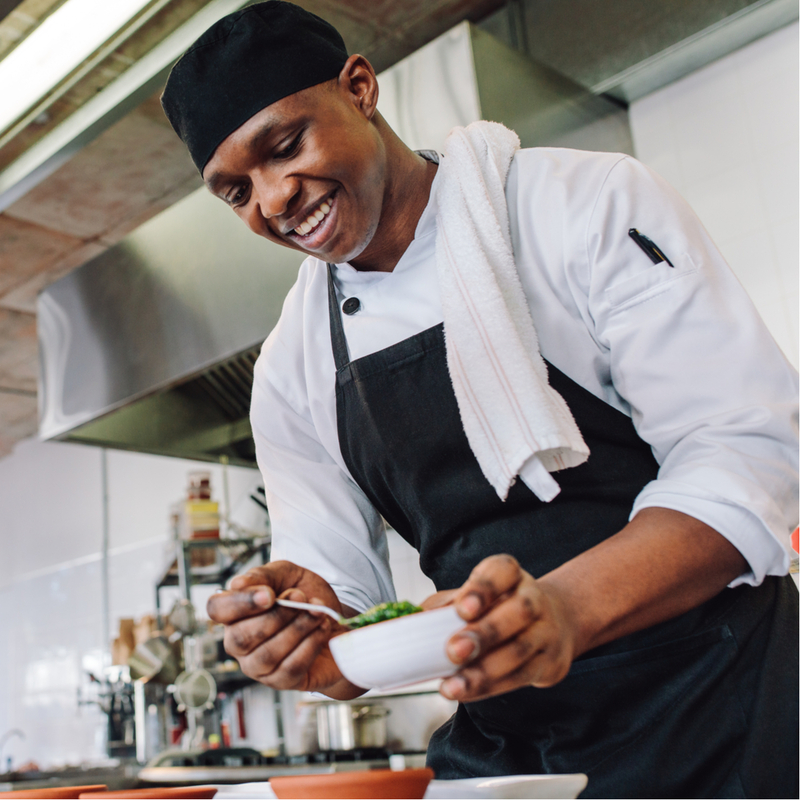 Our kitchen uniforms are breathable and comfortable, allowing for ease of movement for your employees while simultaneously helping protect them from the harsh environment kitchens impose. Not to mention how great our uniforms look, enhancing the professional appeal of your restaurant business. Our stylish chef coats and pants are available in both black and white so that you can select a uniform that best matches the color scheme of your restaurant. Functional in helping prevent cross-contamination and burn injuries combined with their pristine appearance, these chef uniforms will look great and make your employees feel safer on the job. If you’re looking for a short-sleeved uniform, we also offer professional cook shirts, available in black and white. 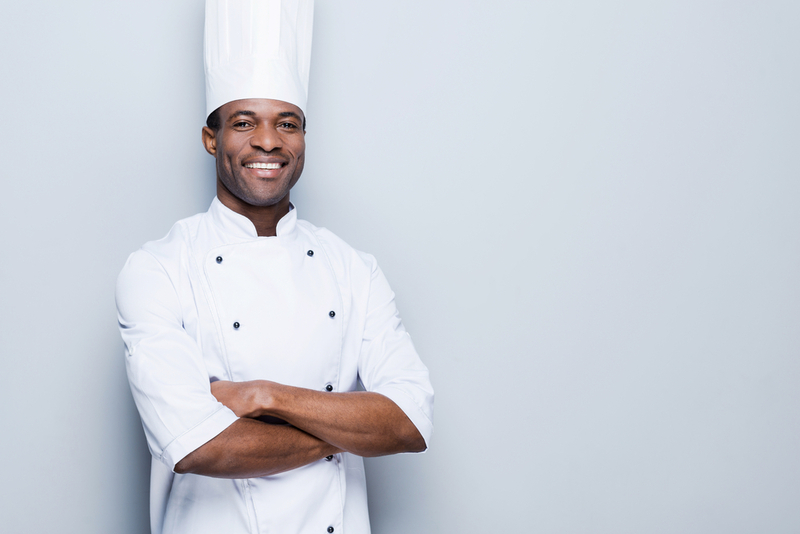 Like our chef coats, our cook uniforms offer the same measures of comfort – a uniform your employees will feel great in! 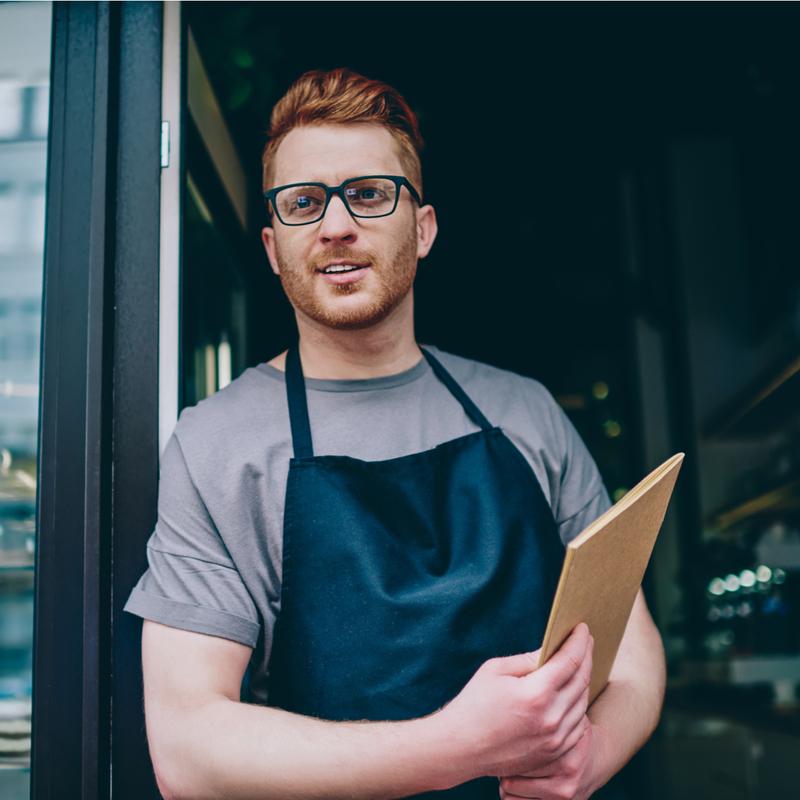 If your restaurant needs something a bit more casual, we offer three different styles of aprons to help protect your employees and keep them clean. We offer bib aprons (to cover below the neck and down), bistro aprons (simply to protect the legs) and waist aprons. Boost Your Employees’ Confidence, Look Great in the Process and Keep Your Establishment Clean and Safe! The necessity of kitchen uniforms in the food service industry is clear. Not only do they look great and help customers identify staff, but they also help prevent accidents from happening in the kitchen and help prevent cross-contamination because of their ease of changing out of and into a clean uniform. The restaurant business is an incredible industry here in Oahu. Don’t fall behind on the quality of your uniforms. At Dust-Tex, we’ll help you select the best linens and uniforms for your restaurant business and provide you with a free quote on services. Not only do we provide you with a quality supply of apparel, but we do all of the uniform maintenance for you! We’ll deliver your uniforms, pick them up to launder, and deliver them back to you in excellent condition. There’s no need to launder your own uniforms, wasting time and money in the process, when you can get the quality services that we provide at Dust-Tex – prolonging the life of your uniforms and continuing to make them look great! To learn more about our kitchen uniform services and get your free quote, contact us today!